Seems like you've done a lot to me man. All your little tweaks matter a lot in the long run. It all adds polish and goes a long way. Honestly, the way you've moved the hearts to the lower right is pretty good as it is. I can def understand how complicated it would be moving everything around on screen and if i'm being honest, I don't know if it would be worth the effort when your set up looks pretty damn good. Are those placeholder items or are they planned or functional new stuff? I'm especially curious about the li'l slime. I would buy him and name him Jellybean. They are functional new items. There might also be more as the shop changes inventory. It's funny that you mention naming him Jellybean. I wish I could explain why! Well, I could but I don't like ruining surprises lol. I am imagining Marin suddenly waking up after dreaming about meeting a boy called Link, and helping his journey. She searches the island for proof he existed, no-one else remembers him or knows him. 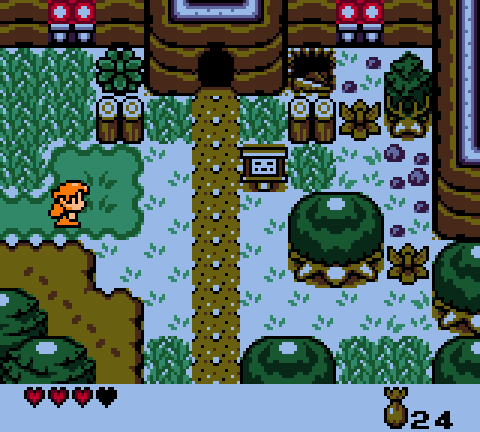 Eventually she stumbles upon the face shrine, but its not an owl and a windfish, but an engraving of a boy, in green, and the Triforce symbol. Wow, I really like that idea. It has a mysterious twist to it. Something like that would really give a feeling of nostalgia, as well, as you the player remember all those events while tying to help Marin remember. Very interesting! 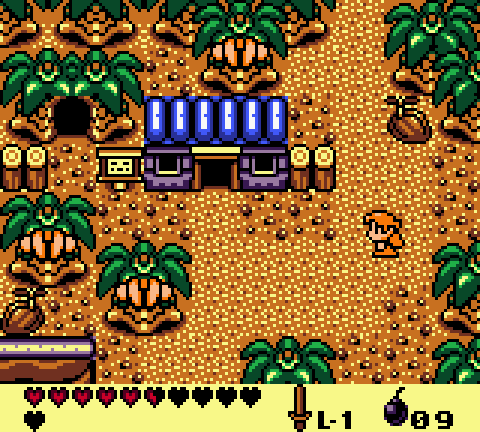 My guess is it's like Wind Waker where you get Chu jelly for potion ingredients or something. It's funny that you mention naming him Jellybean. I wish I could explain why! Well, I could but I don't like ruining surprises lol. That's actually what got me to make this item. Inspired by the chu jellies from Wind Waker! Just thought I'd post a couple more screenshots of the island. Nothing too spoiler-y! 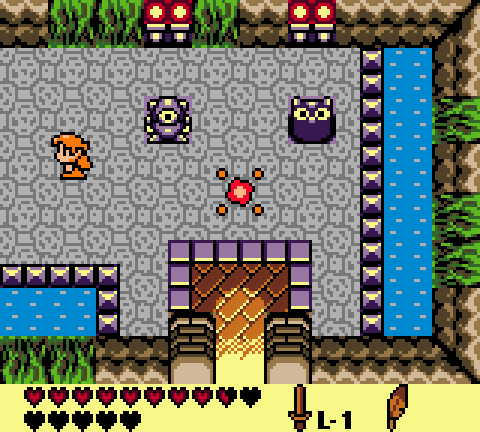 You'll be able to see how the gfx were expanded to allow more variety throughout. I love all of this stuff! Very excited about this mod. Oh! Bananas! Better watch out for Yiga! Unfortunately, there is nothing mighty about those bananas. What's everyone's thought on that? Should dungeons have pop up message with the dungeon name upon entry? You should put it back. I agree, its one thing that makes the dungeons feel different to going through other doorways. I agree with Timbo here. Would like to see the popup when entering the dungeon. I don't think it will get enoying when you normally play the game, you should re-enter a dungeon like 4-5 times at most I think. BTW the new screenshots you posted look amazing especially the last one inside the dungeon. The plants on the walls give it an sewer like vibe which is awesome. Sound great. Looking forward to see the new dungeon designs myself and explore the dungeons. The game keeps looking better and better, exited to see the final product when it gets released. BTW what are you aiming for for the final game? Something "familiar yet fresh" or something that will feel like a completely different game from the original? Just saw the Nintendo Direct. 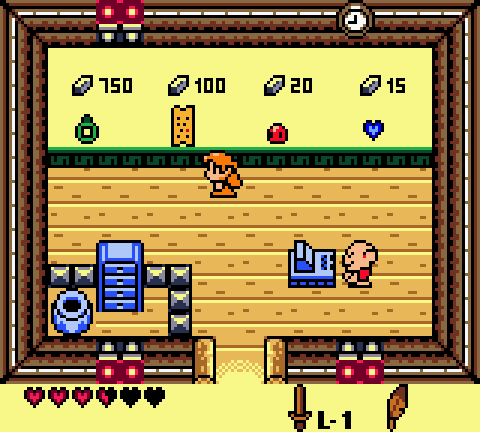 Link's Awakening Remake! Yay! Hopefully both. Everything shown so far has a similar aesthetic to the original. There are some things on my to-do list that I'd LOVE to do, but would take some considerable skills with ASM. One example is enemy AI. I've been trying to get better at ASM, so we'll just have wait and see what the future holds. 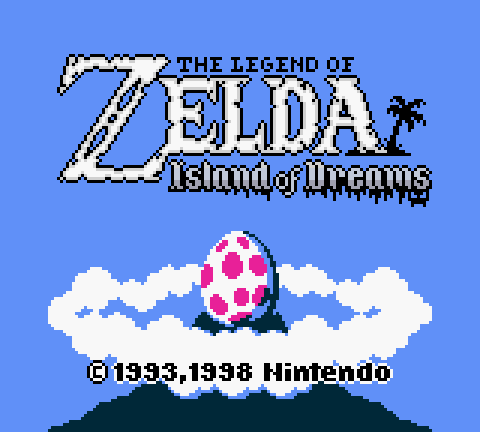 With how excited I am for Link's Awakening remake, I'm feeling in the mood to share the game's new title screen and opening premise. 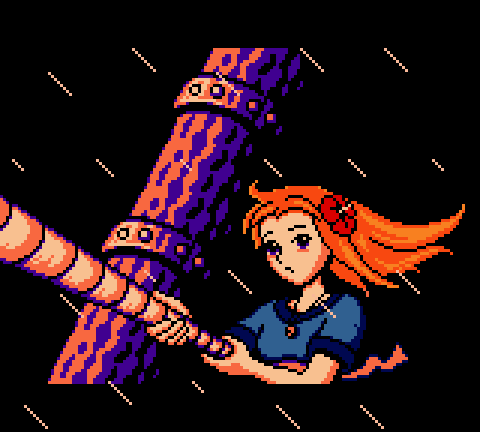 For Marin's game, the story is her trying to escape the island after Link vanishes. She sets sail in search of her friend, but the relentless storm around Koholint prevents her from getting far. Wow, that looks amazing! Nicely done man.